Do you need a little PRE-order help before you begin? Communicate PRE-Order with a graphic designer at the factory for Free advice fast! You can show them your logos/photos/ideas and ask how they'll look? You can ask for Do-It-Yourself advice, Wholesale options or how 'We do it for you'. You can discuss material selections, how things are made & lots more. "They assist you with custom setup advice, prices, materials, Do-It-Yourself how to's, 'We do it for you' and other professional advice solutions for your artwork, printed banners, flags and displays." 90% of our orders are custom size, so we will give you a little help getting the best solutions too! We'll show you how to get the best discounts. We'll show you how to Do-It-Yourself, how to upload and how to save! We'll make it easy for you to wholesale and which materials to try. SBO is a service by designers for designers, so if you need a little help to begin, please ask us now. Unsure if you're uploading the correct design for manufacturing? Unsure if you have the right size? Unsure if you have it ready? We will pre-check your creative Free - Ask Us Now! Step 2 allows you to attach and send your photos, logos or instructions. Then we will inspect them and contact you... Easy! 3. Graphic Designers help you. Our Design Department includes a talented team of graphic designers, sign and banner makers, factory personel and experienced layout artists. Fill in your name details and let's start the conversation. 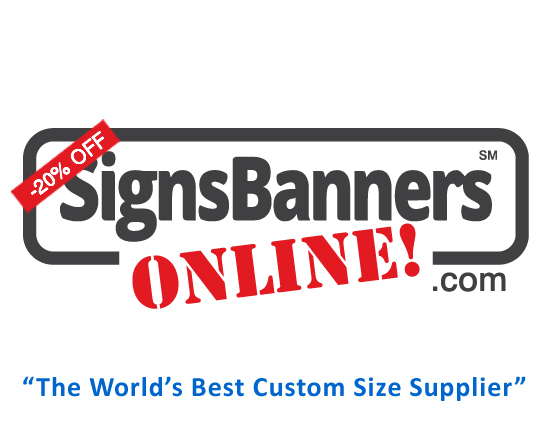 They have all you need to get your signs & banners fast. We now supply thousands of wholesale buyers around the world and look forward to you accessing the factory direct from your desktop or device. If you need support, come back to this page anytime.